For the last 25 years Gift Aid has been one of the largest sources of “free” income for the charity sector. This tax year HMRC will refund over £1,200 million to charities and other voluntary organisations, a figure that has been growing pretty consistently over time at above inflation rates. That £1,200m is the basic rate income tax that had been paid by generous donors before they made their gift. 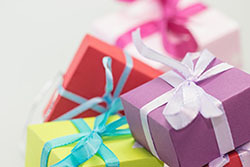 You don’t even have to be registered with the Charity Commission (or OSCR in Scotland) to benefit from Gift Aid – HMRC will accept any organisation that has charitable or public benefit objectives, even if they are too small to register with other official regulators. The government decided over a century ago that charitable gifts should generally be free of tax, so HMRC uses Gift Aid as the mechanism for refunding income tax already paid by donors to that charity. All the donor has to do is sign a relevant Gift Aid Declaration. If a taxpayer earns £10, he or she pays £2 in basic rate income tax. If they give the remaining £8 to charity through Gift Aid, HMRC will refund the £2 to the charity, increasing the value of the original gift by 25%. There are about 160,000 charities registered with the Charity Commission (and thousands more with OSCR), to say nothing of tens of thousands of unregistered small local charities and voluntary groups providing public benefit. My guess is that the total is getting on for 300,000 bodies, the vast majority of whom do at least some public fundraising from taxpayers, particularly the smallest ones. So why do only about 70,000 charities claim Gift Aid refunds from HMRC each year? Why do the majority of voluntary bodies look this gift(aid) horse in the mouth? One of the traditional excuses has been that small charities, often staffed mainly by volunteers, are scared of dealing with tax and HMRC, claiming they don’t have the time or expertise. I admit there are some forms to complete, but once you’ve got used to the system, it is pretty easy to use, particularly if you start off just claiming for straight donations. The complexities come for income like trading or membership. Just about every local church in the UK benefits from Gift Aid, so I’m sure that most other small charities could as well. A subtler criticism of Gift Aid is that the most widely used form of fundraising from the public is cash collections for small donations (eg flag days, sponsored runs, collecting tins for coins), and it is notoriously difficult to get donors giving small cash amounts to sign a Gift Aid form saying that they have paid sufficient tax. So three years ago the government announced a new scheme that didn’t need the donor to sign an official declaration. It was called the Small Donations Scheme (SDS), run by HMRC in association with the main Gift Aid system. Technically it is not tax relief, but an official 25% top-up grant from public funds administered by HMRC. As a charitable gesture from the government it was hedged around with initial restrictions, but most eligible charities should have been able to claim an extra £1,250 a year if they had £5,000 worth of small (<£20) cash donations. The government estimated that over 50,000 charities could benefit initially, and that within a few years it would generate an extra £100m+ for the voluntary sector, with more organisations encouraged to register with HMRC. Even cash donations from non-taxpayers are eligible. However, it appears that the sector has failed to rise to the challenge. In the second year of SDS only £21 million was paid to charities, far short of expectations. Fortunately, the sector had persuaded the government to include a clause in the original legislation requiring HM Treasury and HMRC to review the SDS after three years. Both the sector and the government need to find out what has gone wrong, and explore possible solutions. So the government is holding a formal review. The first stage was a call for evidence, asking charities whether or not they had used SDS, and what their experience of using it was. Late last year they issued a “call for evidence” which included 16 questions about different aspects of the scheme. Nearly a third (31%) of the surveyed charities (mainly small, less than £500k annual income) did not even use standard Gift Aid (GA), mainly because of the administrative paperwork for both charity and donors. There is low awareness of SDS, even among charities that do make standard Gift Aid claims (only 50%). There is a clear need for much better publicity. 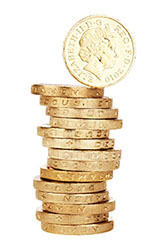 Most charities only make one SDS claim a year using only the standard top-up option. The Community Buildings option appears to be irrelevant for small charities. The planned extension of the cap to £8,000 will be a welcome encouragement to seek more small donations from the general public. The Trust has sent the survey results to HMRC, illustrated with (anonymous) quotes from charities. Later this year the government will set out its thoughts based on the evidence from different sources, and we will get another chance to comment on its proposals. Hopefully next year will see improvements implemented. From April 2016, if your charity gets any small cash donations, the government is offering you a 25% top-up (up to the new £8,000 cap). Will you claim it? Or look this gift horse in the mouth? The Cranfield Trust are extremely grateful to our Volunteer Consultant Ian Clark for coordinating this piece of research and analysis. After graduating from Cambridge, Ian spent the majority of his professional career as a management consultant (FCIMC) with a focus on marketing and business strategy in a variety of sectors. Before retiring he spent nearly a decade as fundraising director for a group of 400 small charities that needed to raise over £20m of voluntary income each year. In his spare time he has been an active trustee of three national charities, usually focussed on financial, fundraising and governance matters. He is a Fellow of the Institute of Fundraising, and represents the sector on HMRC's Charity Tax Forum.